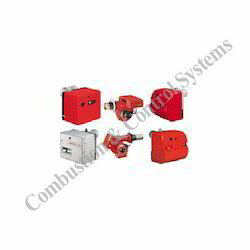 Combustion & Control System is a leading company engaged in trading,supplying and exporting comprehensive range of Burner & Burner Spare parts, Oil & Gas Burner Ignition Transformer, Oil Burner Nozzles, Burner Motors & Blower Wheels, Oil & Gas Burner Solenoid Valves & Coils, Oil & Gas Burner Photocells & U.V.Cells, Oil & Gas Burner Sequence Controllers, Oil & Gas Burner Diffuser Plates & Blast Tubes, Oil & Gas Filters, Ignition Cable & Copper Lugs, Oil Burner Pumps & Oil & Gas Burner Ignition Electrodes & Ionozation Probes etc. 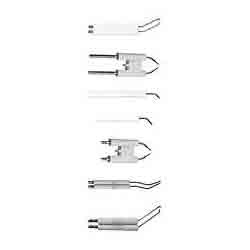 Fabricated with high quality raw materials these products are minutely tested and verified for quality and flawless function. 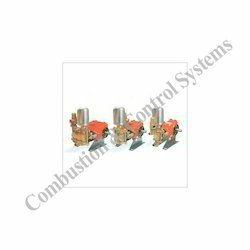 Combustion & Control Systems, Mumbai one of the best source for Oil & Gas Burner Ignition Transformers from India, We import and direct suplly oil and gas burner ignition transformers such as Danfoss oil and gas burner ignition transformer, Brahma oil and gas burner ignition transformer, Nec Make oil and gas boiler/ burner ignition transformer, Beru oil and gas burner ignition transformer, Fida oil and gas burner ignition transformers, Cofi oil and gas burner ignition transformer, Honeywell burner ignition transformers, Satronic burner ignition transformer,Siemens ignition transformers, Krom Schroder Ignition Transformers for burner and boilers. 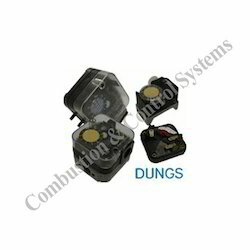 These all ignition transformers are manufacturing in europe with quality standard. 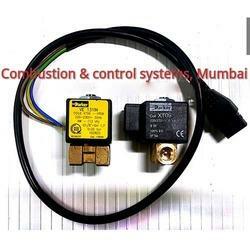 Combustion & Control Systems, Mumbai, India supply all imported and indian make boiler and burner ignition transformers, We keep stock and supply Ecoflam burner oil and gas burner ignition transformer, Bentone burner ignition transformer, Weishaupt ignition transformer, Riello burner ignition transformers, Baltur burner ignition transformer, Sookook burner ignition transformer, FBR Burner ignition transformer, De unigas burner ignition transformer, Lamborgini burner ignition transformer, Cuenood burner ignition transformer, Sot burner ignition transformer, Flamco burner ignition transformer, Flame control burner ignition transformer, Oxilon burner ignition transformer, Narayan burner ignition transformer Etc.. Combustion & Control systems, Mumbai, India offering Indian boiler ignition transformer such as Thermax Boiler ignition transformer, Nestler Boiler ignition transformer, Iaec Boiler ignition transformer, Fuelpac Boiler ignition transformer, Patel Boiler ignition transformer, Weterwork Boiler ignition transformer, Double ace boiler ignition transformer, Elite Boiler ignition transformer, Combustion concept burner ignition transformer, Maxima Boiler ignition transformer, Forbes marshall Boiler ignition transformer, Energypack Boiler ignition transformer, Hi therm Boiler ignition transformer, Heat pack Boiler ignition transformer, Ross Boiler ignition transformer, Vijay jyot Boiler ignition transformer, Saz Boiler ignition transformer etc.. 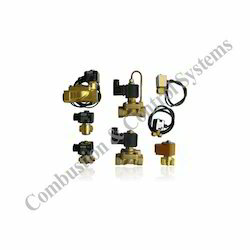 Combustion and control systems offers all types of oil and gas burner spare parts. 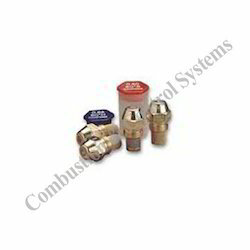 we offer Monarch oil burner nozzles PL/ PLP/ HO/ HV and bypass , Danfoss oil burner nozzles s and b series, Fluidics W1/ W2 50 Degree pill return nozzles, Bergonzo furnace oil burner nozzles, Ecoflam burner nozzles for minor/ max/ oilflam/ maior/ multiflam, Riello burner nozzles for G5/ G10/ G20, Weishaupt burner spill return nozzles, Oilon burner nozzles, Thermax boiler bypass nozzles, Bentone burner nozzles for ST 133/ B10/ B20/ B30/ B40/ B50, Sookook burner nozzles, Cuenood burner nozzles, FBR burner nozzles, De unigas burner nozzles, Blowtherm burner nozzles, Lamborgini burner nozzles, Baltur burner nozzles, Flame control burner nozzles, Panchal burner nozzles, etc.. 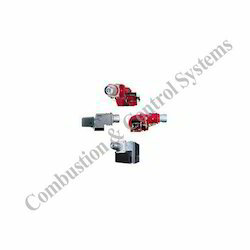 Combustion & control systems, Mumbai India offering oil burner nozzles for boilers, Thermax boiler nozzle, IAEC boiler nozzles, Westerwork boiler nozzle, Double ace boiler nozzle, Fuelpac boiler nozzles, Elite thermal boiler nozzles, Elite boiler nozzles, Energypack boiler nozzles, Neotech boiler nozzles, Tauras boiler nozzles, Laxmi boiler nozzles, Maxima boiler nozzles, IMA boiler nozzles, 3 M boiler nozzles, Heat pack burner nozzles, Hi term boiler nozzle, Forbes marshall boiler nozzles, J.N. 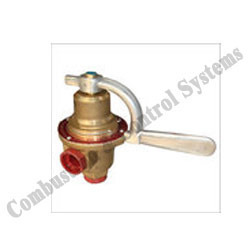 Marshall boiler nozzles, Shivam boiler nozzles, Ross boiler nozzles, Saz boiler burner nozzles, Vijay jyot boiler nozzles, Unitherm boiler nozzles etc.. 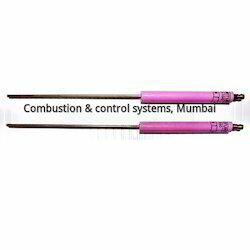 Combustion & control systems, Mumbai, India is the worlds most relible source for Oil & Gas Burner Photocells & U.V.Cells. 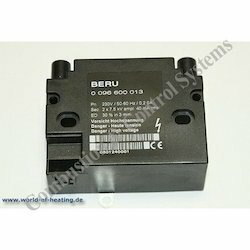 We import and supply Siemens oil burner photocells, Siemens Flame sensor, Siemens flame detector, Siemens gas burner u.v.cells, Siemens gas burner flame detector, Brahma oil and gas burner photocells and u.v.cells, Brahma burner flame sensor, Brahma flame detector, Satronic photocells for oil burners, Honeywell flame detector for gas burners. 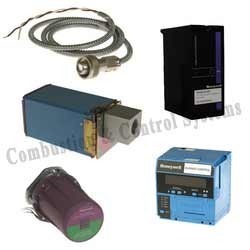 Combustion & Control systems, Mumbai offering photocells and u.v flame detectors for Oil and gas fired boilers, we keep ready stock for Thermax boiler burner photocell, Nestler boiler photocell, Iaec boiler photocell, Westorwork boiler photocell, Kessel burner photocell, Heat pack boiler photocell, Laxmi boiler photocell, Sai tech boiler photocell, Ima boiler photocell, Maxima boiler photocell, Neotech boiler photocell, Forbes marshall boiler photocell, Elite thermal boiler photocell, 3 M boiler photocell, Saz boiler photocell, Industrial boiler photocell, Cheema boiler photocell, Synergy boiler photocell, Energypack boiler photocell, Double ace boiler photocell, Fuelpac boiler photocell, Patel boiler photocell, Unitherm boiler photocell, Hi therm boiler photocell, Shivam boiler photocell, J.n marshall boiler photocell, Cethar vessel boiler photocell, Tauras boiler photocell, Hot air generator photocell, etc.. etc.. 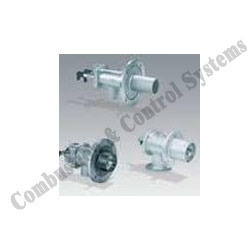 Being one of the leading names in providing excellent quality products, we are offering Burner Motor & Blower Wheels. Available in array of varieties such as Ecoflam, Bentone, Weishaupt, Riello, Baltur and Sukook Burner Motors & Blower Wheels, these bolts are of world quality standard. 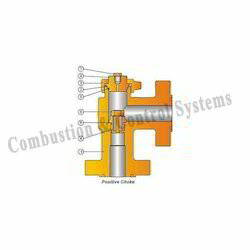 Combustion & Control Systems, Mumbai offering oil and gas solenoid valves, Solenoid coils, We import and supply all over world. 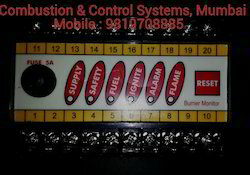 Combustion & Control systems, Mumbai offering genuine imported and indian make sequence controllers for oil and gas burners and boilers.. We keep stock and supply all over world with economical prices. 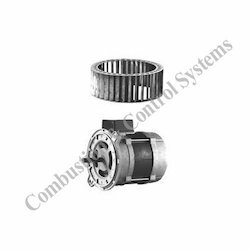 Combustion & Control Systems, Mumbai offering oil and gas filters for burner and boilers, We keep indian and imported oil and gas filters. Ecoflam burner oil and gas filters, Bentone burner oil and gas filters, Fbr burner oil and gas filters, Riello burner oil and gas filters, Baltur oil and gas filters, Weishaupt oil and gas filters, Unigas oil and gas filters, Flamco oil and gas filters, Oxilon burner oil and gas filters, Lamborghini burner oil and gas filters, Oilon burner oil and gas filters, Thermax boiler oil filters, J.N.MARSHALL Boiler oil filters, Double ace boiler oil filters, Iaec boiler oil filter etc..
We are one of the leading manufacturers of Oil & Gas Burner Ignition Electrodes & Ionozation Probes, which are basically used for gas cookers and gas ovens. 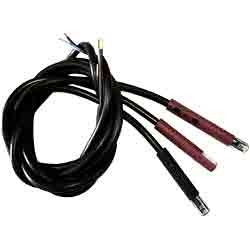 These products have better functionality and are used as high voltage resistance. 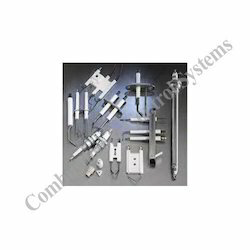 Our range of oil & gas burner ignition electrodes & ionozation probes includes Lgnition Electrodes and Lgnition Electrodes for Oil and Gas Burner. Dungs is one of the world's leading manufacturer of Switches, Valves And Multiblocks. 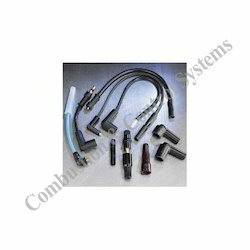 These components are used for pressure regulation shutoff and control of gas. We design and supply complete gas control station to for safe and efficient operation of the system. 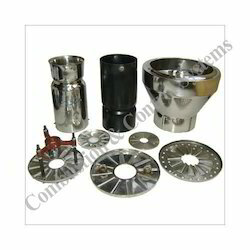 Pioneers in supplying industrial products, we are world renowned for our Oil Burner Couplings. Known for its toughness, durability and reliability, these are made up of very high quality plastic tubes which are used for connecting the motor to the oil pumps. Result of high technology and stringent quality maintained during production, these supreme quality couplings are available for ecoflam, riello, weishaupt, baltur, de unigas, fbr and cuenood. 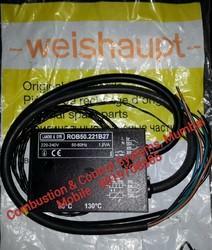 We offer complete range of weishaupt Burner Spare Parts such as: weishaupt nozzle head, weishaupt servo motors, weishaupt motors & blower wheel, weishaupt diffuser disc, weishaupt control boxes/ controller/ sequence controllers, weishaupt suntec oil pumps, weishaupt pump coupling & centre pieces and more. 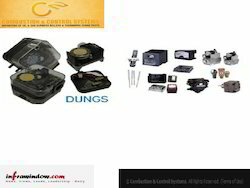 We are engaged in offering Aspee Water Pump and Spares. 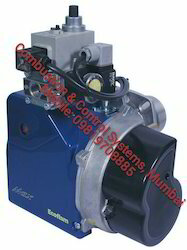 Combustion & control systems, Mumbai import and distribute Riello oil and gas burners in big quantity,We offer Riello RBL Spare Parts such as Riello oil and gas burner diffuer plate, Riello oil and gas burner nozzle, Riello oil burner photocell, Riello gas burner UV cell, Riello oil burner PE cell, Riello oil and gas burner solenoid valve, Riello oil and gas burner blast tube, Riello oil burner nozzle pipe, Riello oil burner fuel oil pump, Riello RBL oil pump, Riello oil and gas burner sequence controller, Riello oil and gas burner control box, Riello oil and gas burner motor, Riello oil and gas burner blower fan, Riello oil and gas burner hose pipe, Riello oil and gas burner ignition transformer, Riello oil and gas burner ignition electrode, Riello oil burner nozzle holder, Riello oil and gas burner cable connector, Riello gas burner pressure switch, Riello burner air pressure switches etc. Our product range includes a wide range of polygyr rwf32 landis universal controller and siemens compact universal controller rwf40. Pioneers in the industry, we offer krom schroder burners from India. 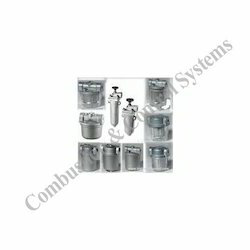 Offering you a complete choice of products which include wesman burner sensitrol oil valve. 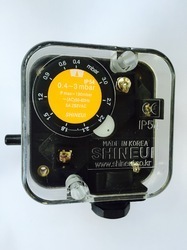 Providing you the best range of shineui gas pressure switch sgps3v, shineui air pressure switch and air and gas pressure switch with effective & timely delivery. Offering you a complete choice of products which include sookook gas burner and light oil burner. 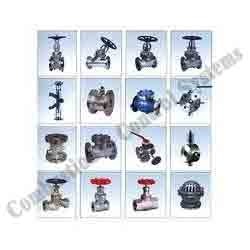 Providing you the best range of industrial valves with effective & timely delivery. 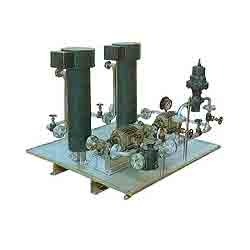 Our range of products include baltur oil and gas burners and spare parts. 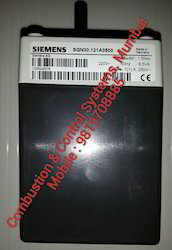 Leading Exporter of siemens temperature controller rob50.221, weishaupt ignition transformer, siemens pressure sensor qbe2002, weishaupt oil burner nozzle and weishaupt oil burner nozzles from Mumbai. 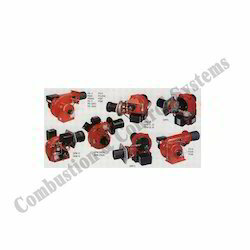 Exporter of a wide range of products which include bentone burner spares, bentone oil burner nozzle, bentone burner fuel pump, bentone oil burner sequence controller and bentone burner st133k. 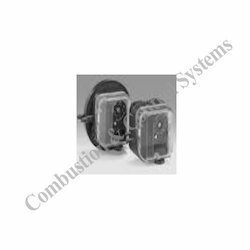 Pioneers in the industry, we offer honeywell flame sensors and relays, honeywell flame scanner u2 series and honeywell flame detector from India. 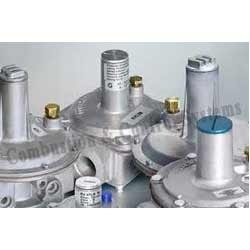 Leading Exporter of giuliano anello pressure regulator and pressure gauge and madas gas pressure regulator from Mumbai. 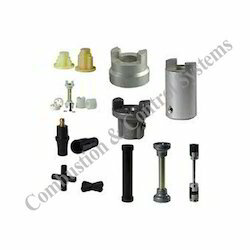 Offering you a complete choice of products which include positive chokes, ceramic choke beans, cameron h2 chokes and parts/ adjustable choke stems, adjustable choke and choke beans, stems and seats. 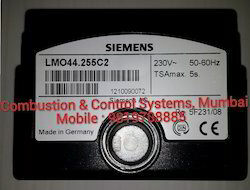 Pioneers in the industry, we offer siemens flame detector qra53.c27, siemens flame sensor qra2, siemens flame detector qra2, landis & gyr photocell rar7 and siemens photo cell qrb1 from India. 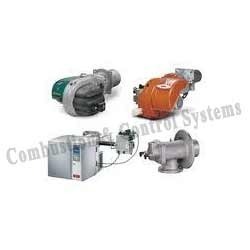 Providing you the best range of heating pumping unit with effective & timely delivery. 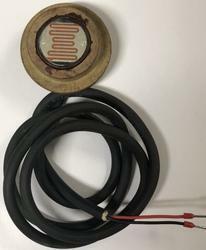 Our range of products include riello burner ignition electrode. Providing you the best range of siemens servo motor sqn30, ecoflam burner servo motor and bentone air damper servo motor with effective & timely delivery. 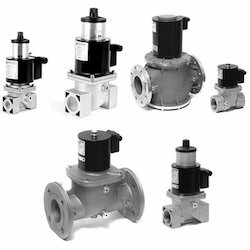 Pioneers in the industry, we offer electrogas solenoid valves and electrogas solenoid valve vmr120tn from India. 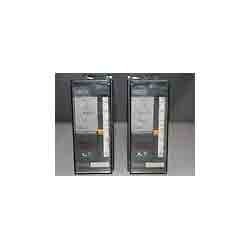 Our product range includes a wide range of siemens burner controller lmo44, siemens sequence controller lal 2.25, siemens sequence controller lal 1.25, siemens sequence controller loa24 and siemens control box loa24.173a27. Our product range includes a wide range of riello rbo522 control box, riello burner control box mmi 810.1, riello rbl oil pump, riello burner pe cell and riello control box rbl 530se. 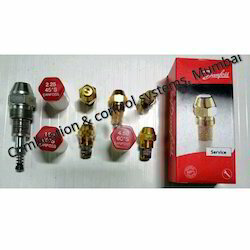 We are a leading Exporter of thermax boiler magnetic coil assembly and thermax boiler nozzle from Mumbai, India. 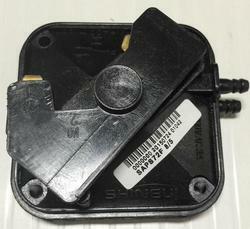 Our range of products include bentone burner solenoid valve. 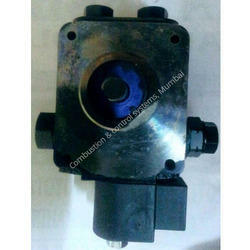 We are a leading Exporter of shineui air pressure switch and dungs multiblock mbdle b01 s50 from Mumbai, India.